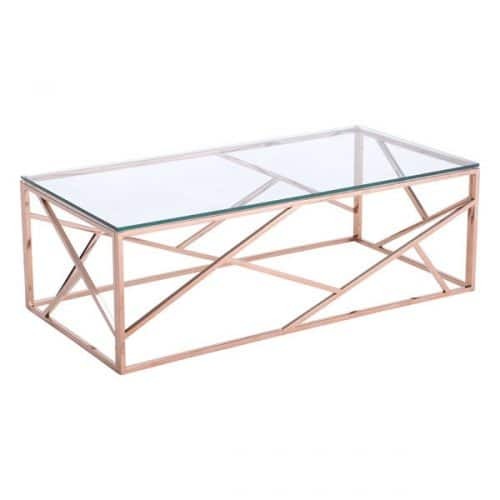 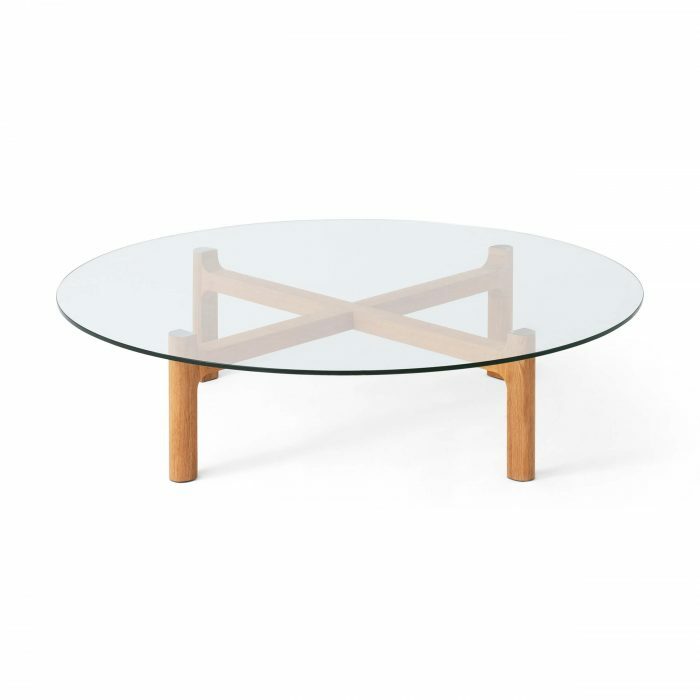 Made of solid oak or solid ash, the Place coffee table is strikingly crafted and distinct in form. 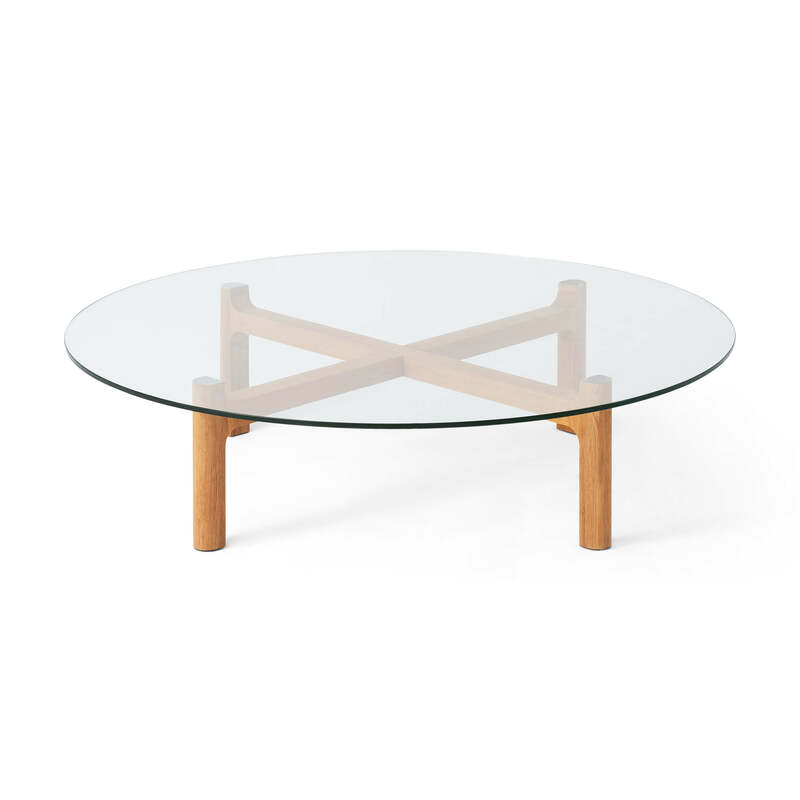 The composition of the table celebrates its materiality and highlights a dichotomy between the perceived lightness of glass and substantial characteristic of solid wood. 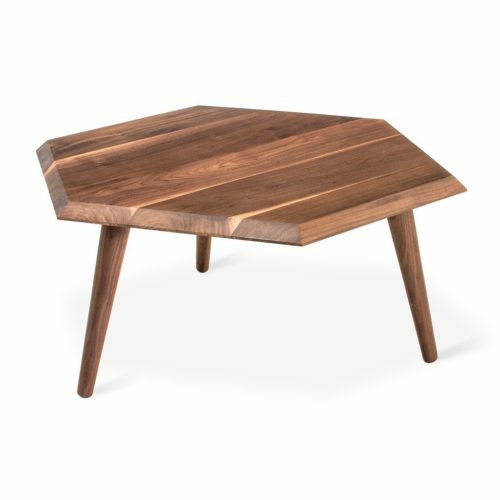 The symmetrical base allows for your choice of a round or square top. 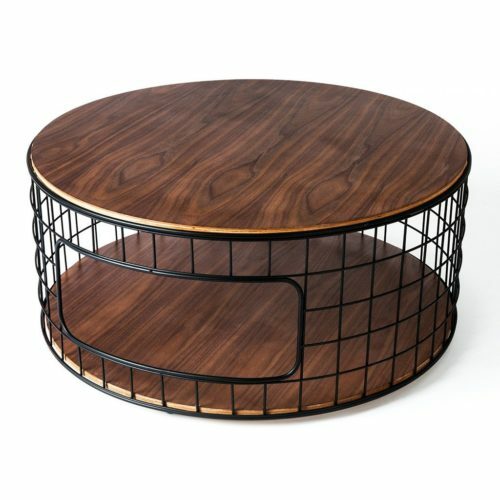 The Place tables are designed by Canadian designer Shawn Place.